MCA Music (Universal Music Philippines) is proud to bring you their latest holiday offering --- HOTTEST HITS EVER… GANGNAM STYLE! 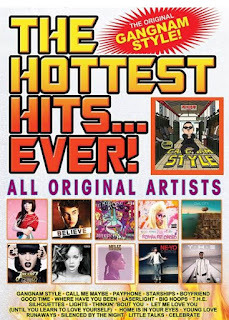 HOTTEST HITS EVER… GANGNAM STYLE! is indeed your perfect soundtrack this holiday season. Get it now in CDs exclusively under MCA Music (Universal Music Philippines) available at Astroplus and Odyssey Music & Video or online via iTunes and ww.MyMusicStore.com.ph | Special thanks to MYX Music Channel, Love Radio, YES FM and HOT FM.